Everything Quilts has been bringing you dedicated customer service, quality products and secure online shopping since 2000. As quilters ourselves, we share in your passion for quality cotton quilt fabrics, unique quilt kits and pre-cut fabrics, machine embroidery and sewing notions and tools. You may choose to check out as a guest or create an account - it is your choice. We accept credit/debit card payments in the form of Visa, MasterCard, American Express and Discover (no other form of payment is accepted). Billing and shipping information, including your IP address are verified and validated with credit card information for every order. Everything Quilts reserves the right to ship to a billing address, or cancel an order if necessary for any reason. Click here to view details on Shipping. Security is the highest priority at Everything Quilts and you can rest assured that your information is protected when you shop with us. When you place an order with us, you are protected with an owned Network Solutions Secure Link SSL (not shared like some other companies). The Network Solutions secure socket layer (SSL) technology, encrypts personal information, including credit card data using an encrypted link between a web server and a browser. In fact, we provide a live status of our security seal in the left/right frames on our site. You may click on the Network Solutions SSL Security Seal above for updated information regarding the status of our SSL. Everything Quilts protects credit and other information in accordance to with the payment card industry's best practice. We work to be in full compliance and use best practices for the Payment Card Industry Data Security Standard (PCI DSS). We value your privacy. 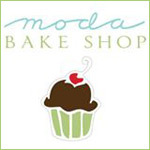 It's that simple, we do not distribute share or sell customer or visitor information. You may Unsubscribe from our e-Newsletter list at any time by simply clicking on the unsubscribe link within every newsletter. Our fabrics and products are all hand selected by quilters, for quilters so you are assured of quality products and services. Occasionally, due to availability, we may be out of a product and we may notify you that your order was placed on a Prepaid Back Order. We reserve the right to eliminate a product, limit the number of sales items, reduce a product quantity or substitute a similar product in your order. We update our site daily, but it may occasionally happen. We are unable to combine orders that are submitted separately. Orders that are cancelled by the customer after submitting will be subject to a cancellation fee based on the order amount. All information on this site, including merchandise, products and services are subject to change without notice. 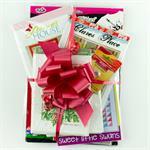 We are pleased to offer you quality quilt kits and quilting and sewing supplies. Our cotton quilt fabrics are sold by the yard (36"), and pre-cut fabrics in half yards, quarter yards, and fat quarters, strips and squares. All fabrics are 100% cotton and are 38"-44" wide unless otherwise noted. We optimize images for accuracy on a variety of monitors and settings. However, product images depicted on this site may or may not be accurately displayed on your computer monitor. It is important to read the item description and the color description when given. In order to assist you in your fabric selection, we would be happy to supply you with one fabric swatch at no charge. Everything Quilts is not liable for incorrect pattern or kit instructions and we recommend that before starting your project, that you check the designer's website for any corrections or updates. 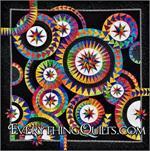 Everything Quilts is not liable for orders that are not submitted successfully or received to our office. For orders not received by the customer that were processed and shipped to the address as listed on the the order, the customer must notify Everything Quilts and get a confirmation response within 14 days from date of the original sales order or customer will forfeit any claim thereafter. Orders shipped to addresses within the state of Colorado will have Sales Tax applied by Everything Quilts. Everything Quilts is not liable or responsible for applying, collecting or paying for sales tax from other states located outside Colorado. Orders shipped to other states within the USA may not be tax exempt, and you may be required to report and pay the sales tax due to to your city/state directly. Details of how to file a state sales tax or use tax return may be found on your state's department of revenue website. Drop shipped items, including cabinets, chairs and accessories will be delivered to customer's location and customer is responsible for bringing items into their building and unpacking and assembly if necessary. Drop ship orders including cabinets, chairs and accessories are unable to returned or refunded. Please note that there may be additional shipment charges incurred by the customer to the delivery agent for locations that require additional service for drop ship items (this is between you and the shipping agent). All warranty or other product concerns are to be directed to manufacturer. 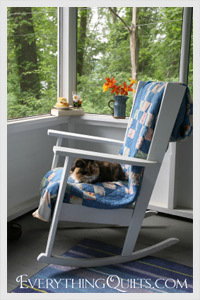 Shopping at Everything Quilts gives you peace of mind that you are shopping from a company you can trust. If you determine that an order or part of an order is unsatisfactory and desire to make a return, you shall be allowed up to 14 days from the date of order submission to contact us for resolution. Merchandise that is defective or damaged will be promptly replaced. For goods returned for other reasons, approved items may be returned for a merchandise credit which excludes all shipping costs and is subject to a 35% or higher restocking and handling fee for the returned items. A cancellation fee will be applied if a customer cancels an order after it is submitted online and but before it ships out from our location. Please note that some items are not able to be returned so it is necessary to contact us first to receive a return authorization number (RMA). Non-authorized returns will not be accepted and marked as "return to sender". All drop ship items, special or custom orders, lay-a-ways or clubs are not returnable for either exchange or refund. We reserve the right to refuse an exchange on all items including, but not limited to software, patterns, quilt kits, batting, books, videos, special orders, cut fabric, clubs, block-of-the-months, and notions. No returns on special order, sale or discounted items. All pre-orders deposits for any merchandise is non-refundable unless we are unable to fulfill the order. No refunds or returns on orders outside the USA. We are please to offer our customers a Lay-A-Way Program that is perfect for your budget. Please click here to view the Lay-A-Way program details. We offer our viewers and customers special promotions from time to time which may consist of merchandise coupons, gift certificates and/or merchandise in our online quilt store. Winners are notified via e-mail and have a limited amount of time in which they must reply back to us so we can send them the final confirmation. 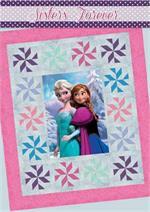 Shipping costs are the to be paid by winner unless otherwise specified by Everything Quilts. Winners must over 18 years of age and meet the following qualifications to be eligible to receive special promotions from Everything Quilts: be a resident of the USA, and agree to have name and state of residence published on this site. All promotions are subject to change without notice and will have a limited redemption period. We offer many different types of clubs at Everything Quilts. Please review the description listed on the club you are joining for specific details on the membership commitment including but not limited too, cost and duration of club, what the club includes, and if it is able to be cancelled and what is the cancellation requirement. Please note that we process clubs during the first two weeks of the month and they will promptly ship out thereafter. Please note that their may be exceptions for special events or holidays that we need to work around, or if your payment does successfully process. You will need to contact us by the last day of the current month's shipment if you do not recieve it, and get a confirmation response from us. Please note that we may need to increase the price on your monthly club slightly based on vendor increases or shipping costs. Please note that if the tracking information for your shipment shows positive delivery to your location, you will need to contact the shipment agent to resolve it directly with them, and may need to purchase a replacement club pack if necessary. After the last day of the shipment month, Everything Quilts is not liable or responsible for claims made by customer thereafter including, but not limited to, lost, stolen or damaged shipments. Customers are responsible to keep their account information up to date and contacting us promptly to update their account prior to the 1st of the month. Late fees may be applied to any account that past due and accounts may be cancelled for billing or shipping related issues. You may also request to receive all billing & shipments at once, or in more frequent intervals if desired.